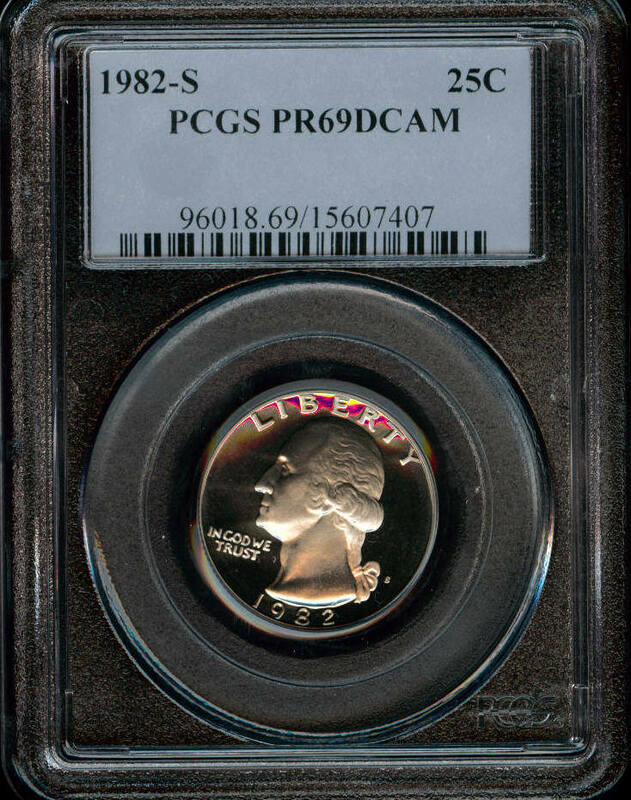 Another 1951 quarter although this one was minted in Denver. 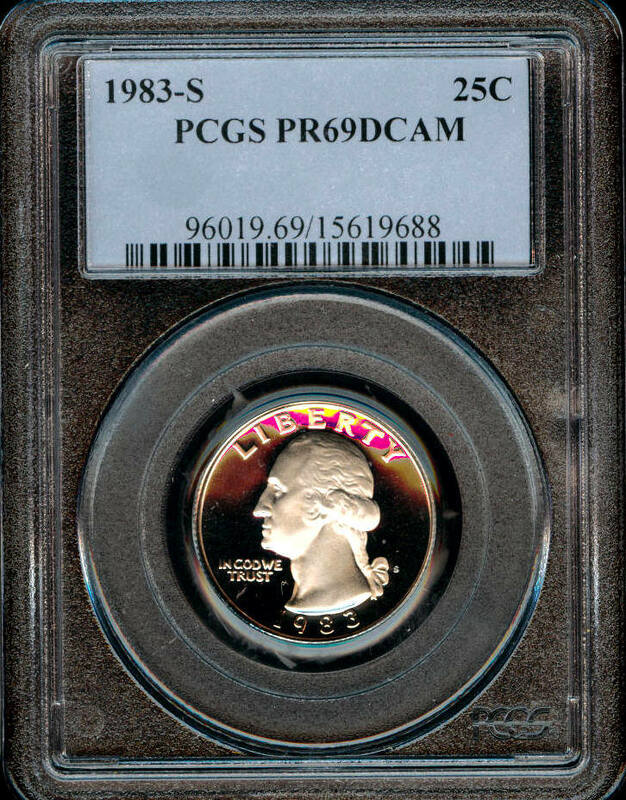 The picture does not show the awesome golden tone that this quarter displays. 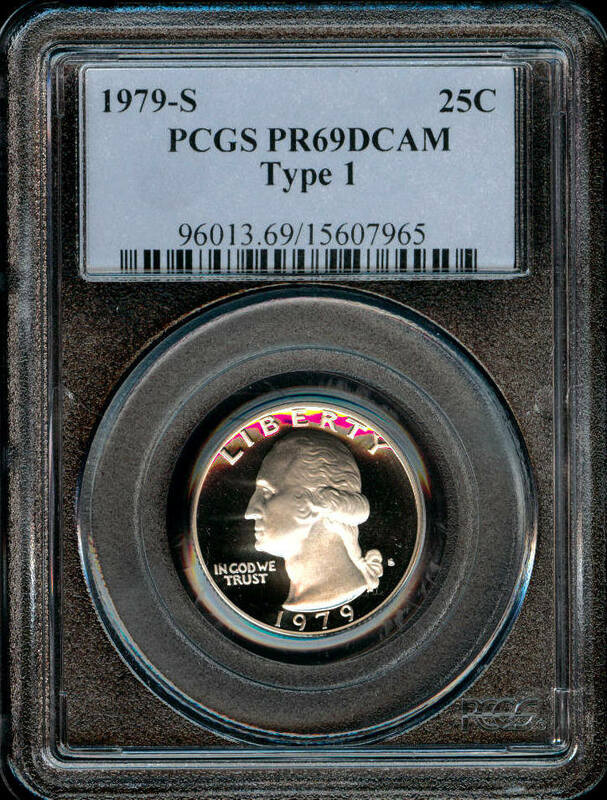 NTC gave this a Mint state 66 grade. 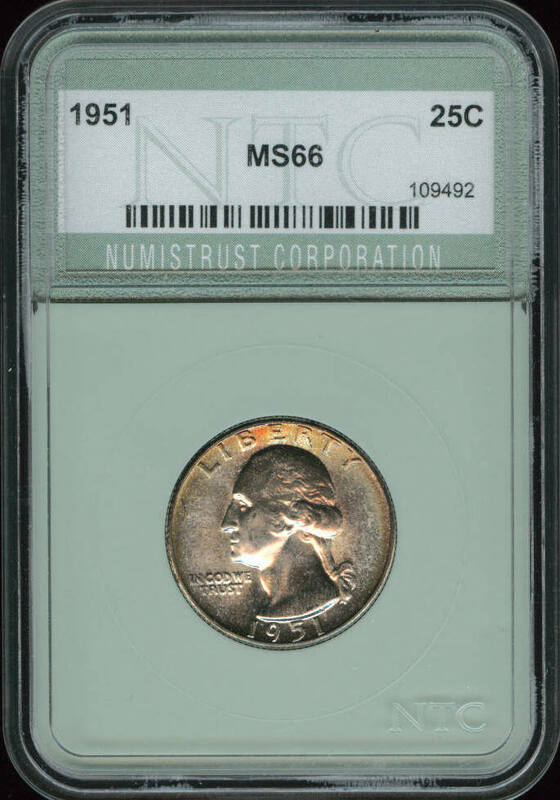 Here we have a nicely toned Washington quarter in a new certification companies holder. 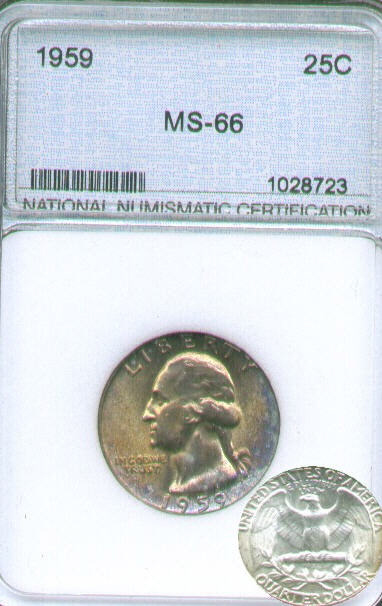 It's graded by National Numismatic Certification as Mint State 66. 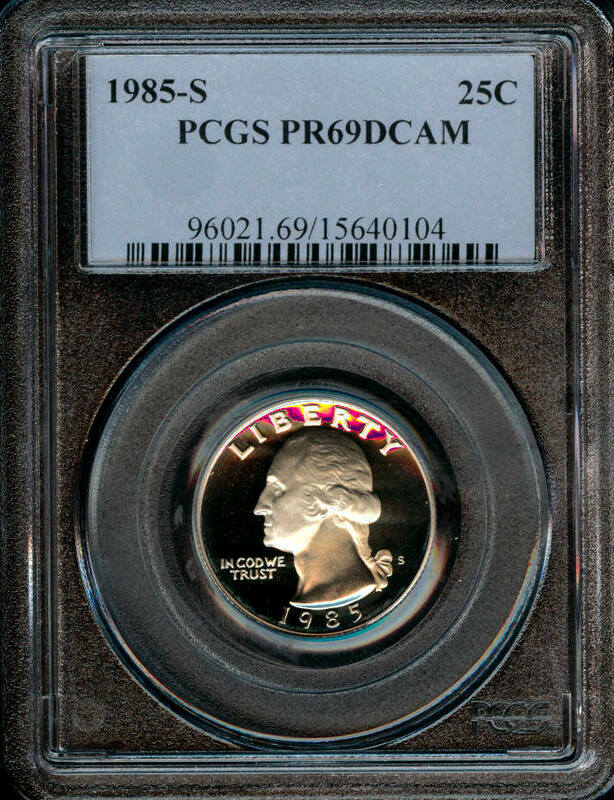 The US mint was trying to stop collectors from hoarding coins so they removed the mint marks and only make Special Mint Sets which was a combination between a proof and a mint set. 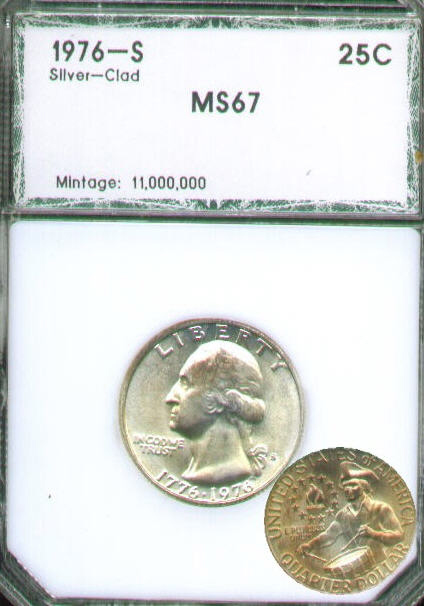 This SMS quarter is graded MS67 by NTC. 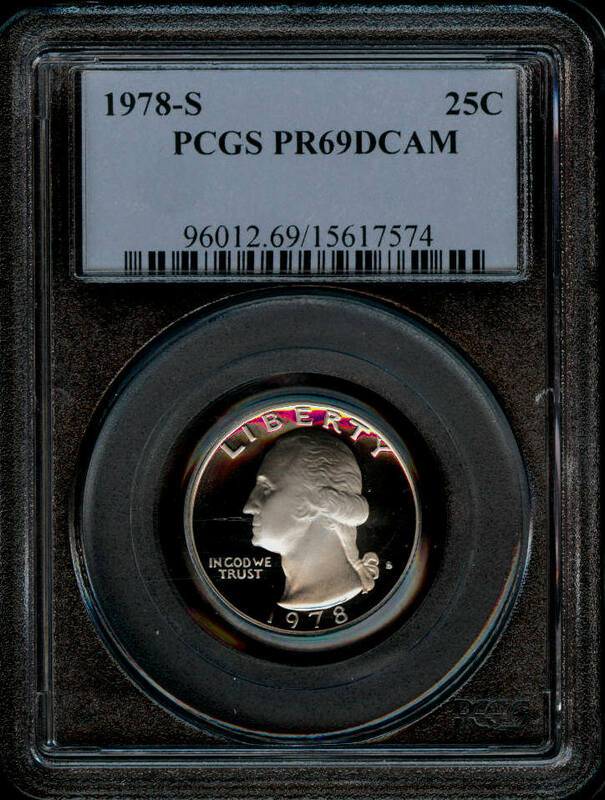 This quarter is certified by PCGS as Proof 69 Deep Cameo. 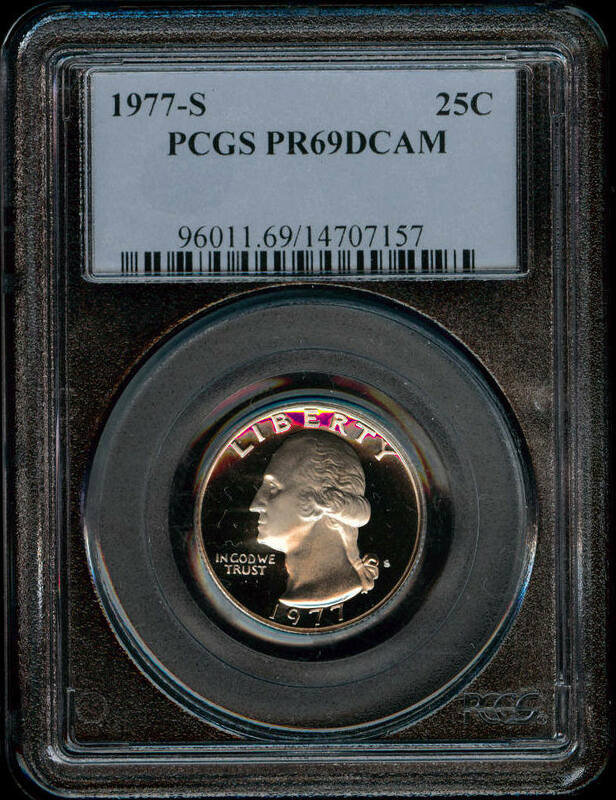 Here we have a 1776/1976 Bicentennial quarter in a PCI, OGH. 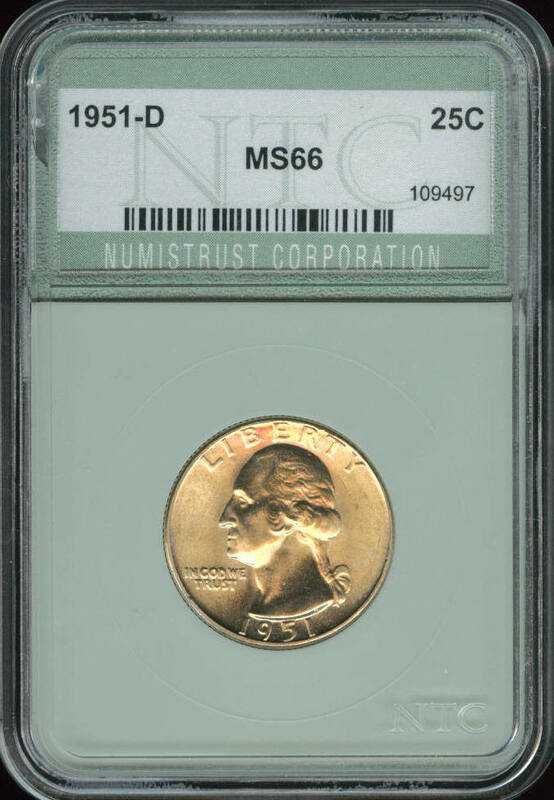 Most people feel they had stricter grading standards when the coins were in the original green holders. 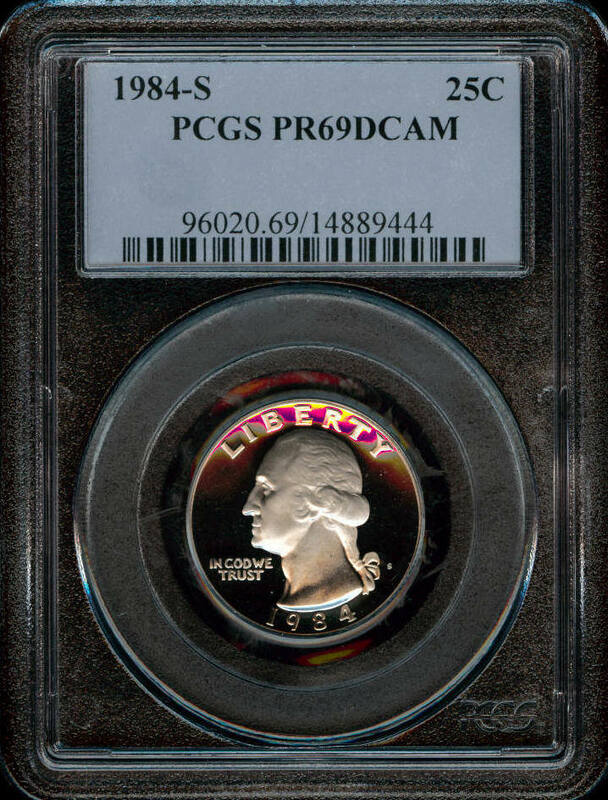 This coin has a mostly copper color tone on the reverse. 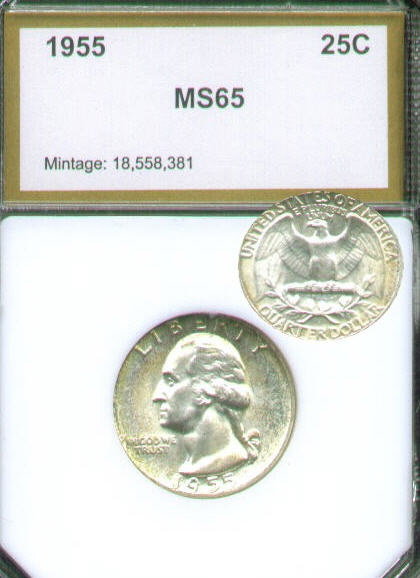 This is a nice example of a Mint State Bicentennial silver quarter. It has a sharp strike, bold details and nice luster. 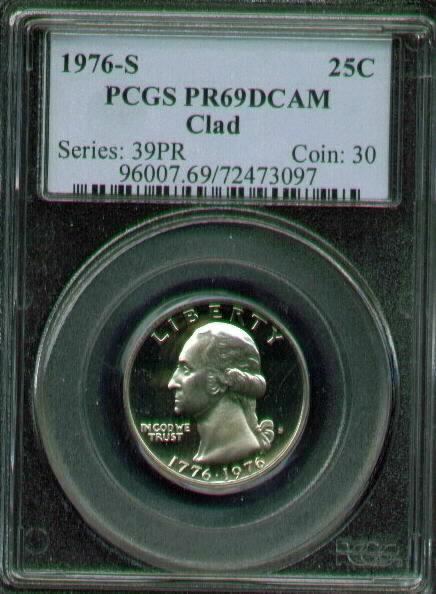 PCGS gave this mint state 66. 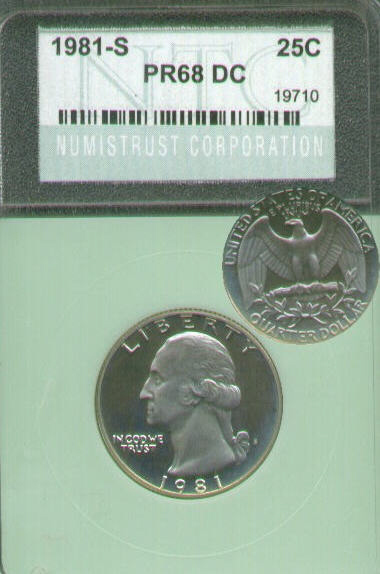 This one year only Bicentennial quarter has a sharp strike, bold details and frosty white Proof fields. 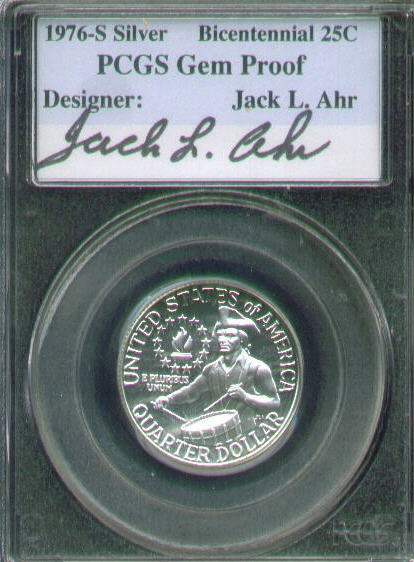 Not only are you getting a one year variety, but this one has the autograph of the designer, Jack L. Ahr. 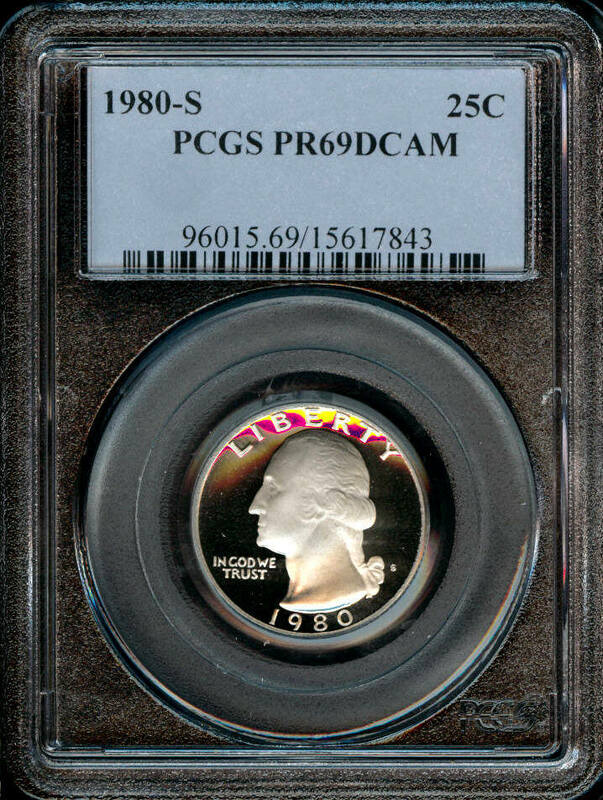 Here we have some pleasing examples of Bicentennial quarter graded by one of the top certification companies as Proof 69 DCAM. 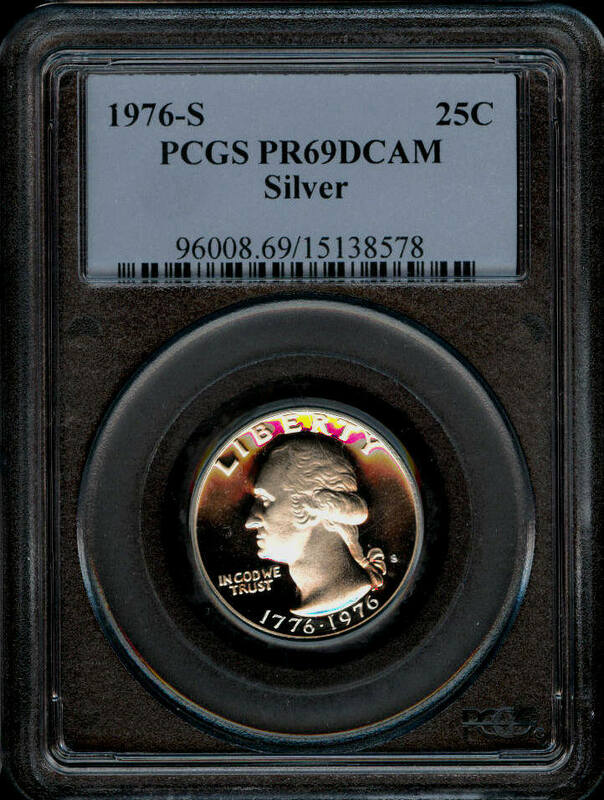 These coins would make a nice addition to a Registry set. 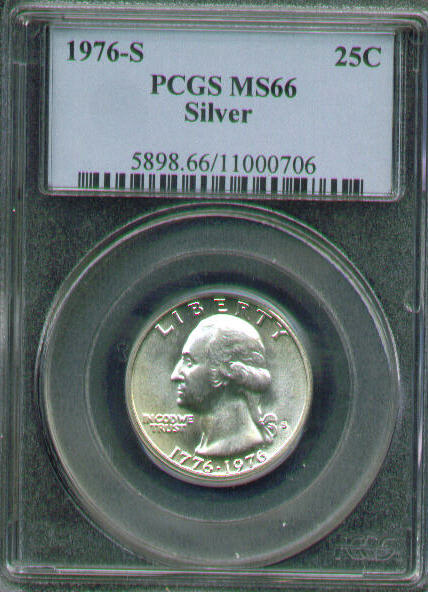 ...same as the ones listed above except this is a silver version. 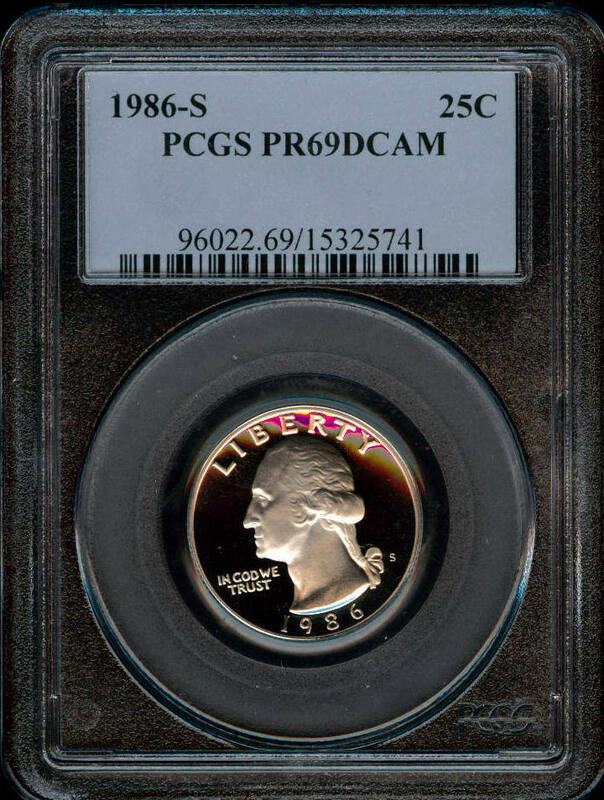 Need a place to put your certified coins? 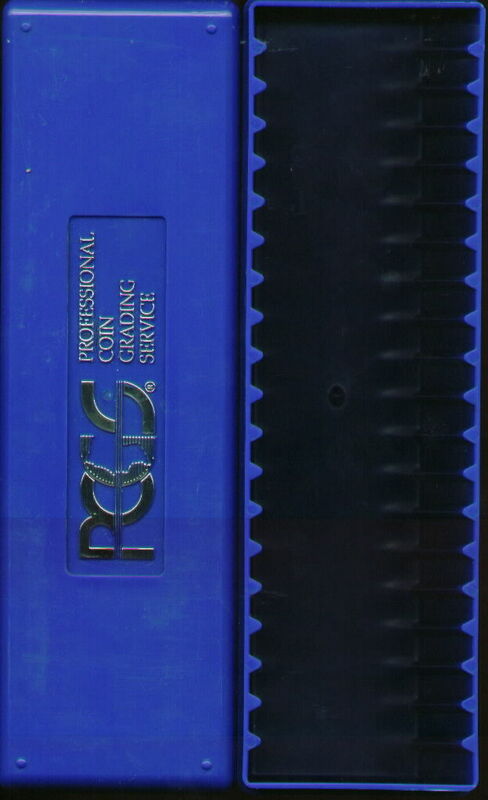 Here we have a PCGS holder that will hold 20 coins. 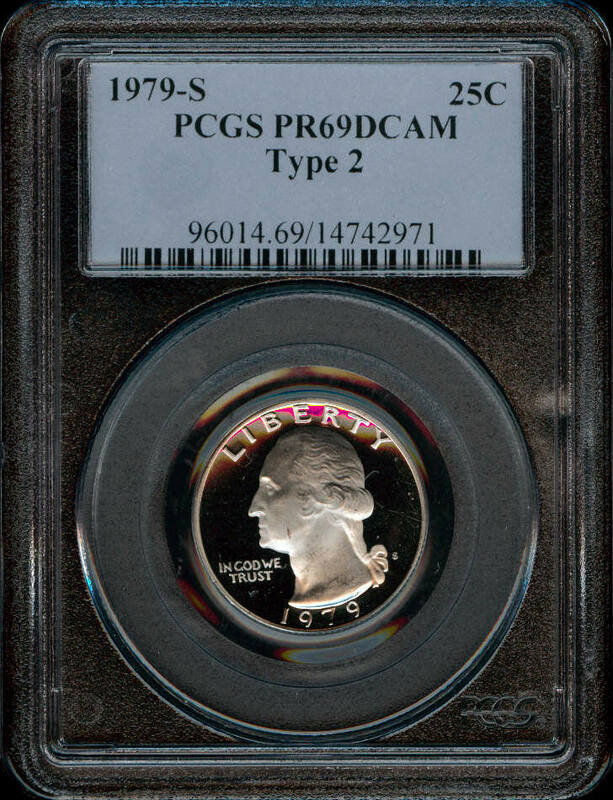 It fits most certification holders (PCGS, NGC, PCI, ICG, NTC...) and only very lightly used. 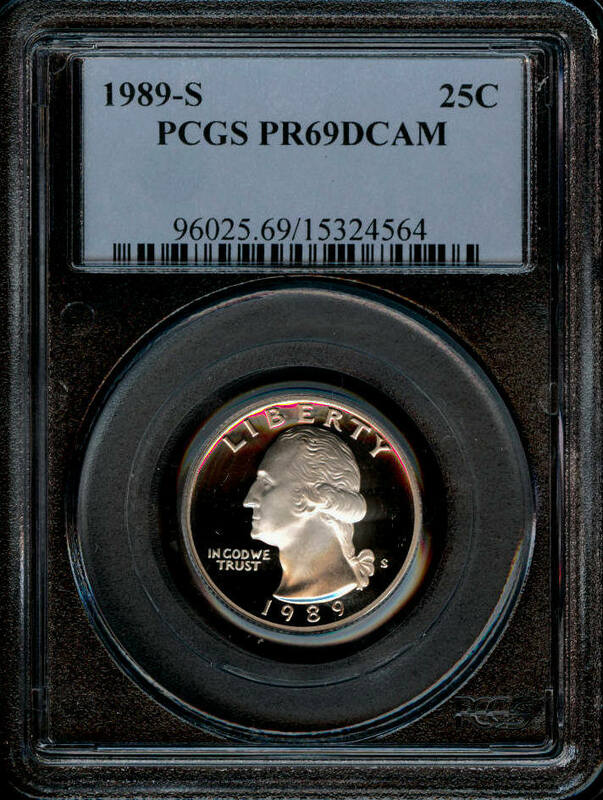 Overall this coin has a deep blue hue on the obverse and reverse. 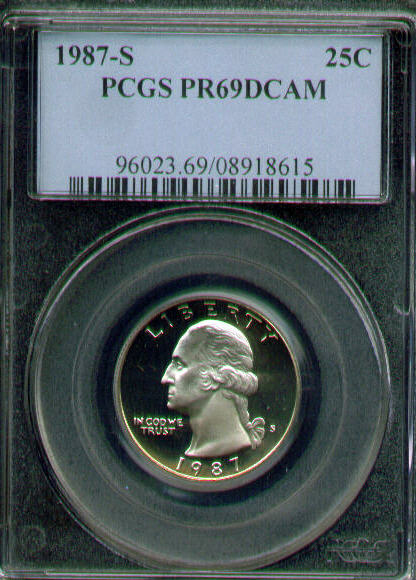 It also has a nice golden toned rim on both sides of this coin. It is certified by NTC as Proof 68 DCAM. 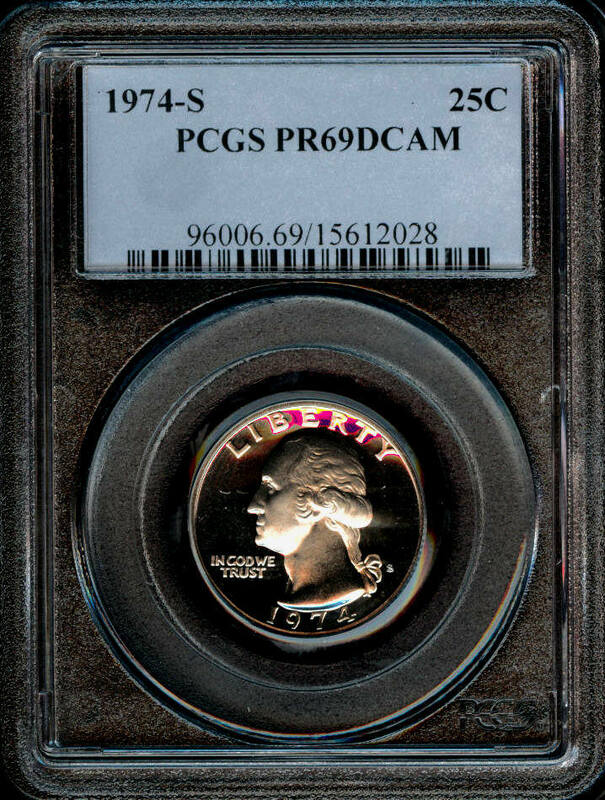 ...same as the one listed above except this coin has a light blue/purple color to it. 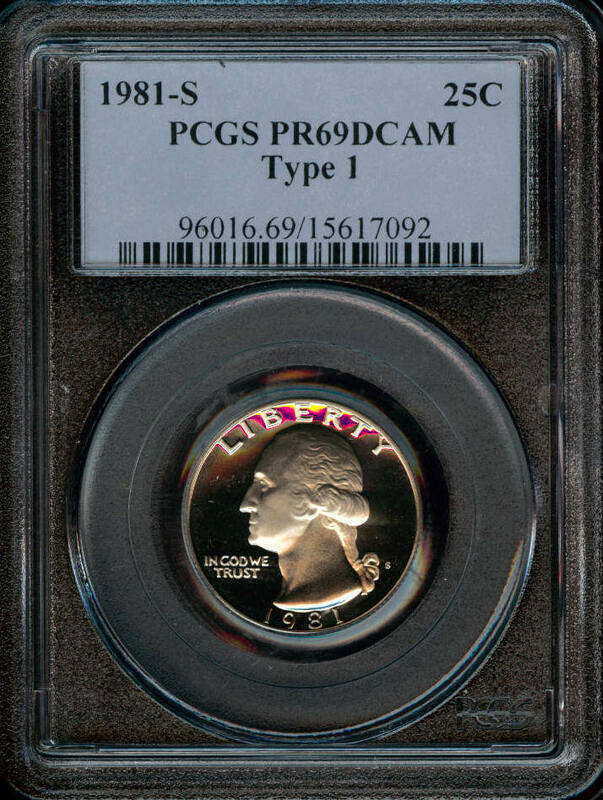 Although this one is certified as Proof 69 by PCGS it isn't as bright and it has a small amount of hazy starting around the edge. So this will only cost you 9.99.